Woke up to a winter wonderland this morning. Full set of photo’s are up on Flickr. It was pretty deep too – 5-6 inches. Biggest fall of the year in Glasgow although I’m sure the folk in Aberdeen will be laughing at how little this is. 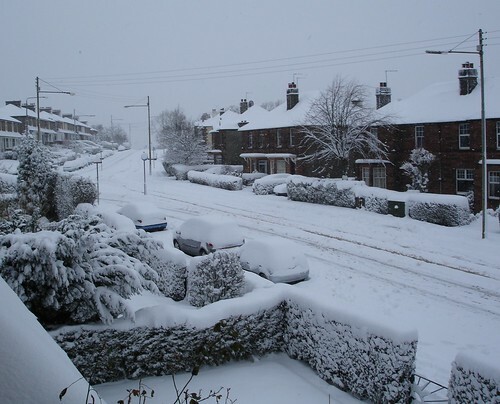 Can’t believe one of my neighbours – dug out his car to move it from one side of the road to the other and now he can’t park it as there’s just too much snow. Fool. Struggled to even drive it over as it was slipping everywhere. It’s a day for staying in or walking – car’s look to be struggling.